UPDATED: MAY 29, 2018 Bottle from supermarket in Corsica. Murky brown color, off white head. Yeast, caramel. Poorly balanced. 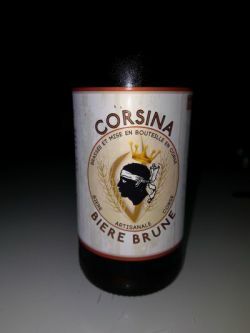 Bottle from Corsica. Pours murky brown with quickly disappearing head. Aroma is caramel, malt, yeast. Taste is mostly sweet with malt, caramel, yeast and lingering hops and some coffee in the background.